MONDAY: Broke? Join the club! You're not the only one wondering how you spent so much over the holidays. The Pisces Moon will afford you the opportunity to look over your budget and release that mindless spending cycle you've fallen into. Keep the phone nearby, as a surprising call is sure to come your way this evening. Your tarot card the Moon will add a touch of the mysterious to all you do this week, making others wonder what you are up to! KEEP IN MIND: There's no use in lamenting the wild spending you've been doing. You're only recourse is to "quit it!" 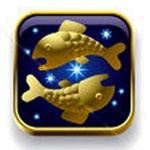 TUESDAY: You'll find yourself ready to make sweeping changes under the empowering Pisces Moon. Enlightenment will come from an unexpected source when Venus dances into your sign today, so pay close attention to everything you hear or see. Take time out this evening to get yourself organized, as things are such a mess! Meditate with a few green candles; they'll help you recommit to a diet or exercise program that, in just over a week, you've already grown ambivalent about. KEEP IN MIND: Spirit works in mysterious ways, so remember, you never know where your next insight or great idea will come from! WEDNESDAY: You could discover that you're operating under a false illusion when the Aries Moon pauses to cast a dose of reality (or a bucket of water) over your plans. Remember, discussing your concerns with a trusted friend is the best way to get a more balanced perspective of a situation. You may prefer quiet time over social gatherings this evening, but getting out of the house could definitely lighten your mood. Place an amethyst crystal under your pillow tonight to counteract a restless sleep cycle. KEEP IN MIND: It always helps when we can see things through another's eyes; ask a trusted friend for their opinion today. THURSDAY: The Aries Moon will help you keep both feet on the ground today, essential as your imagination soars through the clouds! If you deal with a minor health issue now, you'll be able to avoid major trouble down the road. You'd be wise to stick with what you already have on your plate today, rather than leaving it behind to jump on a new opportunity that appears. Vanilla incense can help you to realign with your inner spirit, so burn some during your evening meditation. KEEP IN MIND: You know what they say, "An ounce of prevention is worth a pound of cure." Please keep that in mind today. FRIDAY: Under the Capricorn Sun, you'll find yourself waiting to hear about an important career or financial matter. Keep your focus on the moment by attending simple tasks until the answer arrives. Your passion for a person or project will intensify under the Aries Moon, moving you forward with confidence. Wear purple to generate a more spiritual persona out to the world this evening; in the process, you'll attract a wonderful new friend into your midst. KEEP IN MIND: This is one of those "aha!" days, so pay attention, as insight and inspiration will greet you at every turn! SATURDAY: The Capricorn Sun will tempt your inner child to come out and play today! In order to move to a higher level of spiritual awareness, you'll have to release the past, which by the way, is most easily done through journaling or meditation. It's time to give your psychic gifts a little "air time." Try your hand at channeling or divination practices under the Taurus Moon, such as the tarot, crystal gazing or astrology to develop your skills even further. KEEP IN MIND: Let your spiritual gifts and inner child out to play today! SUNDAY: You'll find yourself brainstorming with a friend over coffee this morning, as you both try to make a few plans for the future. Wear silver, as it can empower you to generate and process ideas at lightening speed as Mercury resumes forward motion. Call up a friend you lost touch with over the holidays and make plans to get together. Practice the art of balance under tonight's Taurus Moon: Instead of facing off with a loved one, agree to a compromise they suggest, or, let them believe they're right about something, even if they aren't! KEEP IN MIND: This is a great day to stop and catch up on those things you simply haven't had time for these last two months!